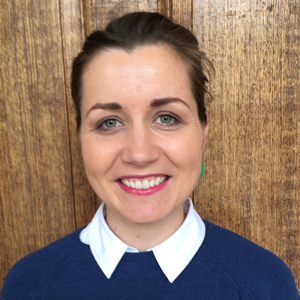 Lorna Roe is a Research Fellow at the Centre for Health Policy and Management in Trinity College Dublin and has been working on health economics analyses at The Irish Longitudinal Study on Ageing (TILDA) since 2013. She studied Social Science at University College Dublin, graduating with a first-class honors degree in 2007 and in 2008 studied for a Masters in Social Policy Research with the London School of Economics and Political Science. Lorna is specifically interested in how healthcare systems respond to the older peoples’ healthcare needs. For five years, she worked for Age Action Ireland, an Irish charity who advocate for the rights of older people in Ireland. Working in Age Action deepened her understanding of the challenges facing older people in seeking, activating and managing healthcare services which ultimately prompted her return to academia to investigate solutions to these challenges. The aim of Lornas’ doctoral work was to build an evidence base on the current pattern of healthcare utilisation of frail older people and to use that evidence to inform how we can improve care delivery systems, notably through integrated care programmes. She is particularly interested in frailty, as older people who are frail are at risk of many adverse outcomes such as falls, hospitalization and nursing home admission, and, they often need many different kinds of services (e.g. hospital, GP, homecare etc), and providing these services quickly and reliably is a challenge to the healthcare system. She continues to work on this topic in her postdoctoral work on two funded projects in TILDA, the FOCUS and RADIUS projects, which are detailed below. In addition to her research, Lorna is the Assistant Director of Teaching and Learning on the Structured Population and Health-services Research Education (SPHeRE) PhD programme and the Local Director of the SPHeRE Postgraduate Diploma in Population Health and Health Services Research. She supervises Masters Students in health economics research projects and lectures on the topics of health policy analyses and the impact of population ageing and frailty on the healthcare system. This study is investigating patterns and trajectories of frailty-related health service use over three waves of the TILDA study spanning six years and the impact on mortality, health and social outcomes in Ireland. This study is funded by Irish Health Services Executive (HSE Research Award on Ageing) at €100,000. This study is a collaboration between Queens University, Icahn School of Medicine at Mount Sinai and Trinity College Dublin, exploring the patterns of healthcare utilization among frail older people and risk of mortality across three countries. It is funded by the Trinity Faculty of Health Sciences ‘Deans Fund’ at €20,000. Roe, L. (2016) Examining frail older people’s use and experience of the Irish healthcare system: A mixed methods study. 4th World Congress on Integrated Care, Wellington, New Zealand. Roe, L., A. M. O'Halloran and C. Normand (2015). Variation in service use among community dwelling frail older people: a latent class analysis. International Health Economics Association (iHEA) Congress. Milan, Italy. Roe, L. and C. Normand (2013). "A review of the Care Coordination Mechanisms used in Integrated Care Interventions to deliver care across sectors for community-dwelling older people." International Journal of Integrated Care 13(8). Roe, L. (2013). "Leadership and Management in Integrated Services." International Journal of Integrated Care 13: e037.